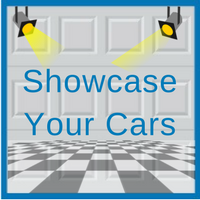 You can set up lights in your garage to focus on your cars that you want to display. Whether the lights are on the inside or the outside of your garage, you want them to be complimentary of the surroundings. For example, using materials that are similar to the design of your house may help the structure of the garage tie into your overall property. If you do not want to remodel your attached garage, another option is to build a detached garage in another area entirely so that you do not infringe upon your homestead. In these situations, it is important to consider design elements that bring together all of the surrounding areas, such as landscape. For example, if you wish to build a garage in a dense tree area, you can come up with an idea that connects to the outdoorsy style like a wood cabin. Keep in mind that you may need to install climate control to preserve your collection depending on if you live in a humid or dry climate. This is important to consider because materials such as leather can shrink or crack if there is not enough moisture in the air. A favorite garage material for car collectors is steel. This is usually at top pick because it is long lasting and protects the valuable property within the garage and has lower fire risks. You also have the option of creating a tall ceiling that may provide the ability to install car lifts in your garage that add to the showcasing of your favorite model cars. As far as flooring goes, many well-known car showcasing garages include a checkerboard design that can be incorporated with your garage by using materials such as tile, wood, or marble. Many celebrities own a collection of cars such as Manny Pacquiao, Michael Jordan, John Cena, and Reggie Jackson. One of the most famous collectors is Jay Leno. He calls his collection the “Big Dog” garage. If you are considering building a garage that showcases your cars, contact the garage experts at Blue Sky Builders. For more information, contact us online or call 630-852-8485. 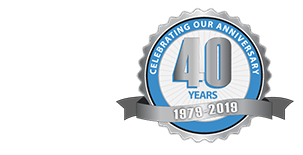 Our Chicagoland area garage experts can provide you with assistance to our clients with their garage maintenance needs.